In your eyes. 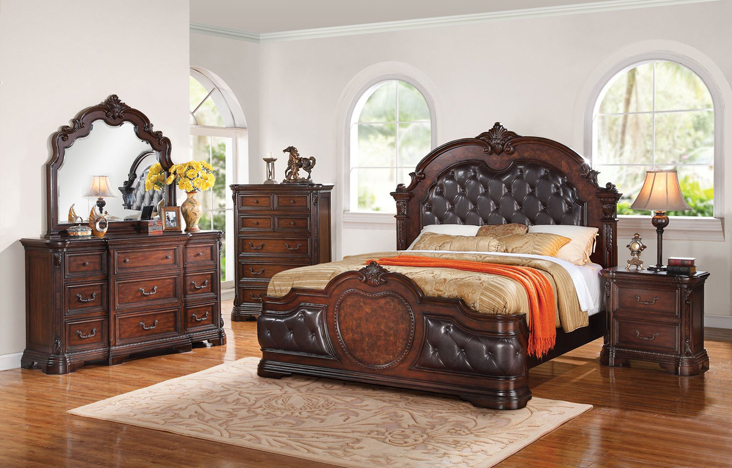 Look to our Quenisha collection to infuse your bedroom with elegance that stands the test of time. An exclusive time piece, this collection uses traditional design elements like cherry venneers, special selected moulding to great effect. 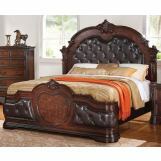 Bonded leather padding on the headboard and footboard boasts leather-like for a rich look and feel. 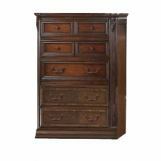 Antique black tipping on the licorice-toned wood adds visual interest. 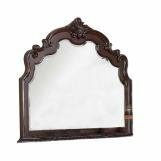 ACME Furniture is a large home furnishing manufacturer and importer that started its business in 1985. 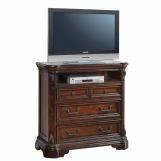 From the beginning ACME Furniture have set out to provide customers with service, value and quality. Nothing is more important than quality. That is why ACME Furniture maintains its own quality control personnel. Every item must meet its exact standards. 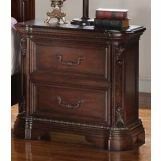 FurnitureMail.com presents ACME Furniture products in a wide range of categories - Bedroom Furniture, Dining Room Furniture, Living Room Furniture, Home Office, Home Entertainment, Accessories and more.